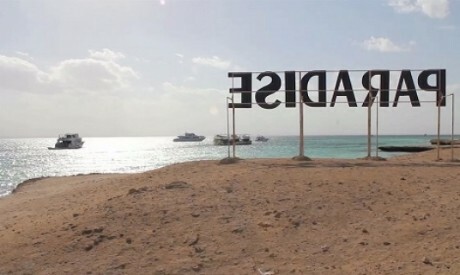 Egyptian documentary film Dream Away has been selected for the official competition of the 2nd El-Gouna International Film Festival and the 62nd BFI London Film Festival. El-Gouna International Film Festival will open on 20 September, while the London Film Festival will be held between 10 and 21 October. The film is directed by Egyptian director Marouan Omara, and German director Johanna Domke. They previously worked together on the documentary Crop. Last year, the film took part in the Final Cut workshop programme of the Venice Film Festival in Italy. Dream Away follows the struggles of rural youth from modest backgrounds living in the Egyptian resort city Sharm El-Sheikh and working within the tourism industry. In this westernised environment, some find the values of freedom and independence to which they have aspired since the 2011 Revolution, while others equate the vacationers’ behaviours with sin. To all of them, life in Sharm El-Sheikh seems balanced between ancient, deeply-rooted traditions and the Western model of consumption, independence and sexual freedom. The film is Omara’s first feature-length documentary. After studying filmmaking at the Art and Technology of Cinema Academy, he went on to direct several short and mid-length films and documentaries. His other films include Azziara (2015), and One Plus One Makes a Pharaoh’s Chocolate Cake, which premiered at the 67th Berlinale within the Forum Expanded segment. Domke is a visual artist and filmmaker. She has exhibited her work in France, Denmark and Germany, among other countries. She won the Award of the International Video Art Forum in Hamburg in 2006.